Yemen's foreign minister confirmed to CBSNews.com on Wednesday that the nation's security forces have disrupted an al Qaeda plot targeting Yemeni oil infrastructure and cities. Minister of Foreign Affairs Dr. Abu-Bakr Al-Qirbi confirmed information given to the BBC by Yemeni government spokesman Rajeh Badi, who said the elaborate plot involved plans to blow up pipelines and attempts to seize key parts of cities vital to the impoverished Arab nation's oil trade. "There were attempts to control key cities in Yemen like Mukala and Bawzeer," Badi told the British broadcaster. "This would be coordinated with attacks by al Qaeda members on the gas facilities in Shebwa city and the blowing up of the gas pipe in Belhaf city." Al-Qirbi told CBSNews.com he was unable to provide further information on the operation to disrupt the plot, and he also could not say whether Yemen's security forces had received any assistance from the United States or any other country. "We rely on our security forces and they have been doing an excellent job," said al-Qirbi. Pentagon spokesman George Little confirmed to CBS News that the U.S. Air Force had assisted in evacuating some emergency embassy personnel from Sanaa on Tuesday morning, and added that the "U.S. Department of Defense continues to have personnel on the ground in Yemen to support the U.S. State Department and monitor the security situation." The U.S. military has had troops on the ground in Yemen in a training capacity before, but there have been no reports that American military personnel have taken part in any ground operations against Islamic militants. Yemen is home to al Qaeda in the Arabian Peninsula (AQAP), the terror network's most active franchise and the one which many U.S. officials and analysts say represents the most direct threat to the U.S. and its interests abroad. CBS News learned this week that intercepted communications between al Qaeda's core leadership in the Pakistan-Afghanistan border region and the leader of AQAP in Yemen, Nasir Wuhayshi, were the catalyst for a broad terror threat alert which prompted the State Department to temporarily close embassies in Yemen, and across much of the Middle East and North Africa. On Wednesday, the U.S., Britain and France pulled many of their embassy staff out of Yemen in response to what the State Department said was an "extremely high" threat level in the country. The U.S. embassies were expected to remain closed at least until the end of the week, after the Muslim holy month of Ramadan concludes. Yemen's government has worked closely with the U.S. to combat AQAP on its soil, and a series of suspected U.S. drone strikes have hit the terrorist group hard this year. The killing of the group's deputy leader Saeed al-Shihri in late 2012 or early 2013 was the most direct blow, but the strikes have been unrelenting, with four more suspected militants being blown up in a vehicle in the country's center on Tuesday, and reports Wednesday morning suggested another six or seven had been killed in fresh strikes in the south. 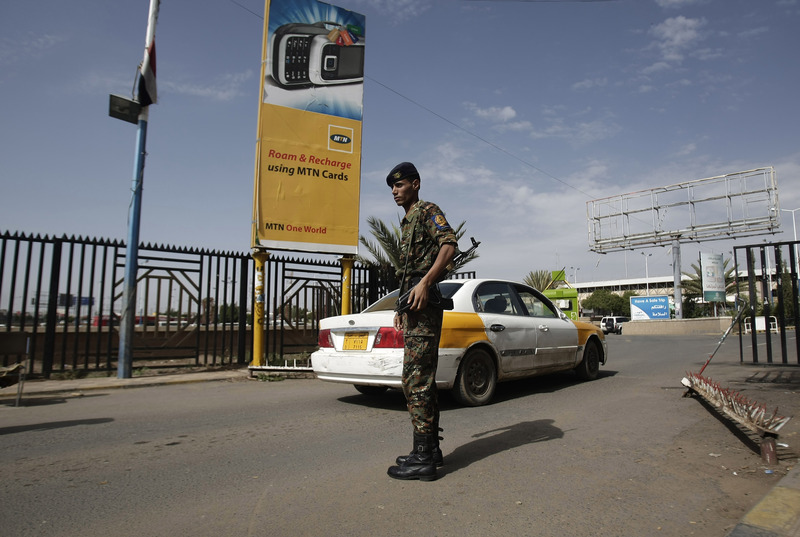 Yemeni security officials told The Associated Press that suspected U.S. drone strikes had killed six alleged al Qaeda militants in the country's south, while the Reuters news agency put the number at six. Al-Qirbi said he did not have information on the most recent reported drone strikes, but that generally Yemen's government supports the strikes so long as "they do not take place unless they (U.S.) get the Yemeni government's approval, and they ensure there's no collateral damage, and they are targeting legitimate al Qeada" suspects. The suspected drone attack on Wednesday would be the fifth in Yemen in less than two weeks. The officials said the militants were killed early Wednesday in Shabwa province. Residents in the area of Markha in Shabwa province told the AP they saw two vehicles and several bodies on fire at the site of the strikes. They declined to be identified, fearing reprisals. In spite of the huge pressure brought by the drone strikes, U.S. government and counter-terrorism officials have warned that AQAP remains an extremely dangerous group, capable of inflicting serious damage on U.S. interests. "These are the Saudi loyalists that bin Laden trusted the most," explained CBS News senior correspondent John Miller after al-Shihiri's death was confirmed in July. "They have been, out of all the al Qaeda affiliates, the ones that have been the most effective in targeting America." "They're the ones who placed an underwear bomb in a plane over Detroit, they're the ones who developed the printer bomb for three planes bound for the United States and Great Britain. They're the ones who publish Inspire magazine, which gave the recipe -- and, by it's name, the inspiration -- for the Boston Marathon bombings," added Miller, who worked previously at both the FBI and in the office of the Director of National Intelligence.